Few young players have experienced an introduction to first-team Premier League football quite like Aaron Wan-Bissaka. At the end of February, an injury crisis at Crystal Palace saw the 20-year-old thrown in for his competitive debut against Tottenham. Next up came Manchester United and Chelsea. While Palace were beaten in each of those fixtures - if only by last-gasp goals against Spurs and United - Wan-Bissaka shone at right-back, unfazed by the challenge of facing the likes of Harry Kane, Romelu Lukaku, Alexis Sanchez and Eden Hazard. 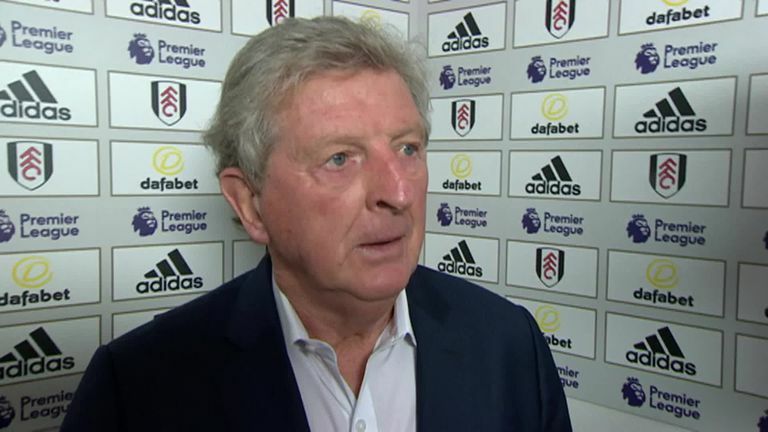 "He certainly learnt to swim very quickly," said Crystal Palace boss Roy Hodgson last week, reflecting on that testing treble. 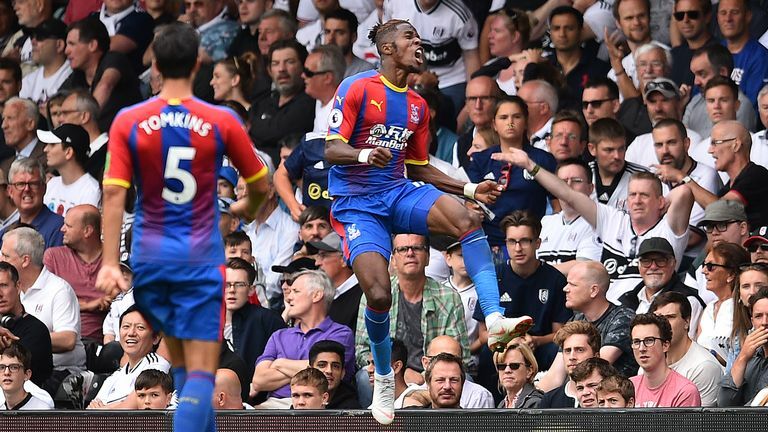 Such was Wan-Bissaka's impact, he entered this season as Palace's first-choice right-back and rewarded Hodgson's faith in him with a clean sheet and assist for Wilfried Zaha in Palace's opening-day win at Fulham, becoming a Fantasy Football player's favourite in the process. With just eight appearances under his belt, Wan-Bissaka is preparing to face Liverpool for a second time at Selhurst Park on this week's Monday Night Football. It is an incredible story. But what makes Wan-Bissaka's rise even more remarkable is that just 18 months ago he had never played in defence. Brought up as a striker and a winger after joining Palace as an 11-year-old, it was not until Wan-Bissaka was called over from the U23s and asked to make up the numbers in one first-team training session in the middle of the 2016/17 season that his career took a different path. He was charged with marking Zaha. "I was told it was a good battle," Richard Shaw tells Sky Sports with a chuckle. From that point on the Palace U23 coach and his assistant Dave Reddington set about converting their winger into a proper defender. 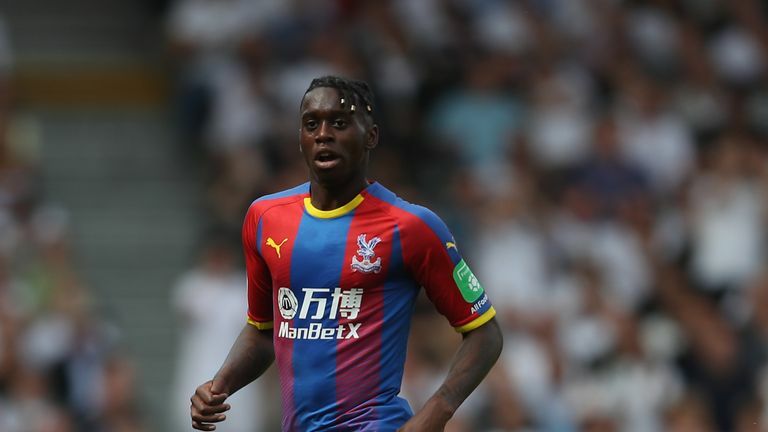 Crystal Palace's Cheikhou Kouyate says team-mate Aaron Wan-Bissaka has huge potential. The attributes were there - but there was plenty of work to do. "It was always something you thought about with Aaron, because he was so disciplined defensively," said Shaw. "I coached him initially at U16 level and then had him again at U23s and he had a defensive mindset. He also had these long legs and made good recovery runs, so the ability to make the change was there. "But when we played him at right-back in the next U23 game against Charlton he was leaving big gaps and watching him try to head the ball defensively was quite funny, in terms of the height and distance he got on it. "After the game, myself and Dave had a chat and decided 'come on, this is a project, let's work with him'." Importantly, Wan-Bissaka was eager to improve, too. A quiet, relaxed character, Wan-Bissaka seemed invigorated by the challenge and was soon taking on double sessions with Shaw and Reddington to improve the defensive skills he needed to become a full-time right-back. Aaron would come back out in the afternoons, after training, to work on his heading, his clearances, his delivery up to the front player. He became more focused. "He was very keen to learn," said Shaw. "He'd come back out in the afternoons, after training, to work on his heading, his clearances, his delivery up to the front player. That wasn't like Aaron when I first knew him. He had previously been happy to shoot off. But his persona changed. "He was always a bit of a follower, getting into a bit of mischief with his mates, who were quite boisterous. But we kept on at him, telling him what it takes to be a footballer, asking him what he wanted to become and it began to click for him. "He became more focused and, before you knew it, he was training with the first team more often than not." A standout performer with the U23s in between those first-team training sessions, Croydon-born Wan-Bissaka's reputation was growing and pre-season involvement with the senior squad under Frank de Boer proved he was on the right path. When Joel Ward and Martin Kelly were injured and unavailable to face Tottenham in late February 2018, De Boer's replacement Hodgson turned to Wan-Bissaka. It was time to put all that defensive training to the test. Wan-Bissaka rose to the occasion and only an 88th-minute Harry Kane header denied him a debut clean sheet. There were then more positive performances against United and Chelsea and he was awarded the club's player of the month prize in March. For Shaw, it was no surprise to see his player taking those huge tests in his stride. "That's the good thing about him: he sees these duels now as challenges," said Shaw. "For some young players it's too much but nothing fazes him. I was very, very proud." Wan-Bissaka, who received an England U20 call-up last season and signed a four-year deal with Palace in the summer, is now an inspiration for Shaw's current crop - but on Monday night he will come up against another prodigious talent. Trent Alexander-Arnold, Liverpool's breakout star of last season, is an example of how rapidly talented academy graduates can soar. The challenge for both right-backs - like for all young players who suddenly burst onto the scene - is to sustain it. Shaw is confident his player can do that. "I've been impressed with how he's handled the limelight but now this is going to be a key season for him," he said. "I sent him a text the other day saying, 'you need to get to 50 games, then get to 100 games - and then take stock of where you are. You don't want to be hitting 25 games and switching off like a lot of young players do'. "How far can he go? He can go a long, long way. As long as he keeps the traits he's shown in the last year; that work ethic, stay focused, listen to the manager and want to learn the position every single day and ask questions like he's been doing. I'm sure he will." Watch Aaron Wan-Bissaka in action when Crystal Palace host Liverpool live on Sky Sports Premier League from 7pm on Monday.